DerbyCon 8 Videos are online! Adrian/@irongeek_adc has uploaded all the presentations from DerbyCon VIII here and at Archive.org to download. DerbyCon was held at the Marriott Louisville on October 3rd thru the 7th, 2018. Dates for DerbyCon 9 have been announced, Training dates are September 18th and 19th 2019, with the conference again to be held at the Marriott Louisville September 20th to 22nd 2019. Jimmy Kimmel Asks What Is Your Password? President Obama just unveiled a number of proposals to crack down on hackers. It’s great that the government is working on this but we need to do a better job of protecting ourselves. So Jimmy Kimmel sent a camera out onto Hollywood Boulevard to help people by asking them to tell us their password. It’s too bad there’s no legislation planned for poor password choice. Top technology companies such as Google, Tesla, Amazon, and GoPro to name a few use NASDAQ as their trading exchange. With this information in mind, it doesn’t explain why a security researcher named analfabestia was able to discover and report a new XSS (Cross-Site Scripting) vulnerability on NASDAQ.com on January 14, 2015, The sixth such vulnerability in nearly seven years. The vulnerability reported to XSSposed (XSS exposed) is still unpatched putting NASDAQ users, visitors and administrators at risk of being compromised by malicious hackers. Theft of cookies, personal data, authentication credentials and browser history are probably the less dangerous consequences of XSS attacks. NASDAQ was previously hacked back in 2010, Bloomberg BusinessWeek covered this in July 2014. 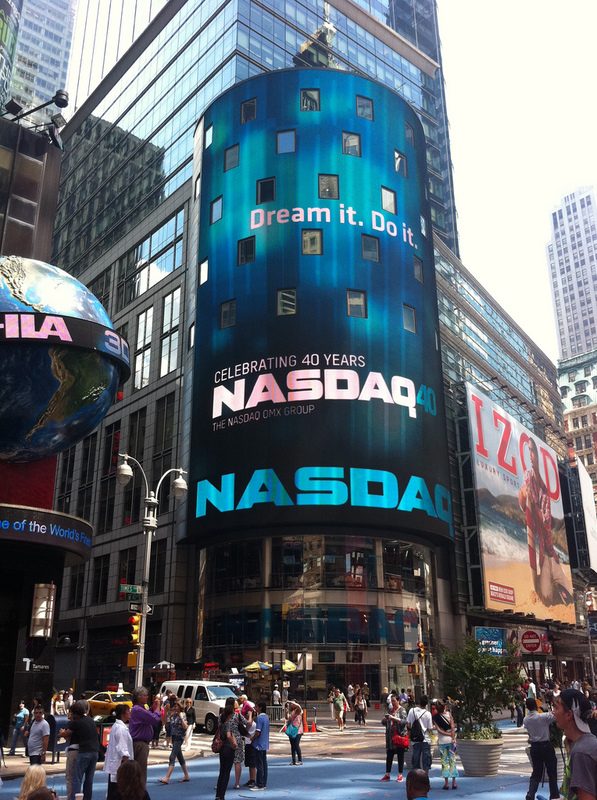 Nasdaq (NASDAQ: NDAQ) is a leading provider of trading, exchange technology, information and public company services across six continents. Through its diverse portfolio of solutions, Nasdaq enables customers to plan, optimize and execute their business vision with confidence, using proven technologies that provide transparency and insight for navigating today’s global capital markets. Last month a web server at ARRL Headquarters was breached by an unknown party. 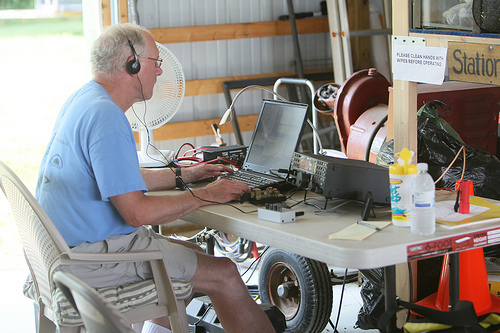 ARRL IT Manager Mike Keane said that League members have no reason to be concerned about sensitive personal information being leaked, and assures members that there’s nothing of financial value on the compromised server. ARRL’s Mike Keane stressed that it is highly unlikely that any sensitive information was compromised. Any information the hacker might have been able to glean from the ARRL server, he said, is already publicly available — data such as names, addresses, and call signs that appear in the FCC database. The hacker may have been able to obtain site usernames and passwords that were established prior to April 2010, and that has not been changed since then. ARRL members who have not changed their ARRL website passwords since early 2010 should do so at this as soon as possible. Keane said that in addition to reporting the security breach to federal law enforcement authorities, his department is working to increase the League’s Internet security posture. AB Acquisition LLC and Supervalu Inc. are the newest groups of retailers that have been hit by security breaches this year. This includes Aaron Brothers, Bartell Hotels, CVS, eBay, Goodwill Industries International Inc., Home Depot, Jimmy Johns, Michaels Stores, Neiman Marcus, Recreational Equipment Inc., Sally Beauty Supply, and Sears. 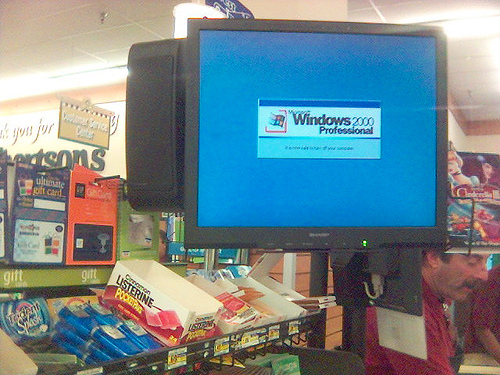 On September 29, 2014, AB Acquisition LLC, which operates Albertsons stores under Albertson’s LLC and ACME Markets, Jewel-Osco, and Shaw’s and Star Markets under New Albertson’s, Inc., was notified by its third-party IT services provider, Supervalu Inc. of a separate, more recent, attempted criminal intrusion seeking to obtain payment card information used in some of its stores. AB Acquisition has been informed that a different malware was used in this recently discovered incident that was used in the incident previously announced on August 14, 2014. The investigations into both this incident and the earlier incident are ongoing. Supervalu Inc. (NYSE: SVU) announced on September 29, 2014 that they also experienced a criminal intrusion into the portion of its computer network that processes payment card transactions at Supervalu’s Shop ’n Save, Shoppers Food & Pharmacy, four franchised Cub Foods stores in Hastings, Shakopee, Roseville (Har Mar) and White Bear Lake, MN, where implementation of the enhanced protective technology had not yet been completed. For these four franchised stores, Supervalu Inc. believes that the malware may have been successful in capturing account numbers, and in some cases also the expiration date, other numerical information and/or the cardholder’s name, from payment cards used at some checkout lanes during the period of August 27 (at the earliest) through September 21 (at the latest), 2014. Because the point of sale systems are different across AB Acquisition divisions, Albertsons stores in Arizona, Arkansas, Colorado, Florida, Louisiana, New Mexico, Texas and their two Super Saver Foods Stores in Northern Utah were not impacted by this incident. However, Albertsons stores in Southern California, Idaho, Montana, North Dakota, Nevada, Oregon, Washington, Wyoming and Southern Utah were impacted. In addition, ACME Markets in Pennsylvania, Maryland, Delaware and New Jersey; Jewel-Osco stores in Iowa, Illinois, and Indiana; and Shaw’s and Star Markets stores in Maine, Massachusetts, Vermont, New Hampshire and Rhode Island were affected by this new incident. AB Acquisition LLC and Supervalu Inc. have made no determination that any cardholder data was in fact stolen by the intruder. Given the continuing nature of the investigation, it is possible that time frames, locations, at-risk data, and/or other facts in addition to those described above will be identified in the future. Both AB Acquisition LLC and Supervalu Inc. customers who used their payment cards at those locations listed above during the relevant time period will receive 12 months of complimentary consumer identity protection services through AllClear ID.